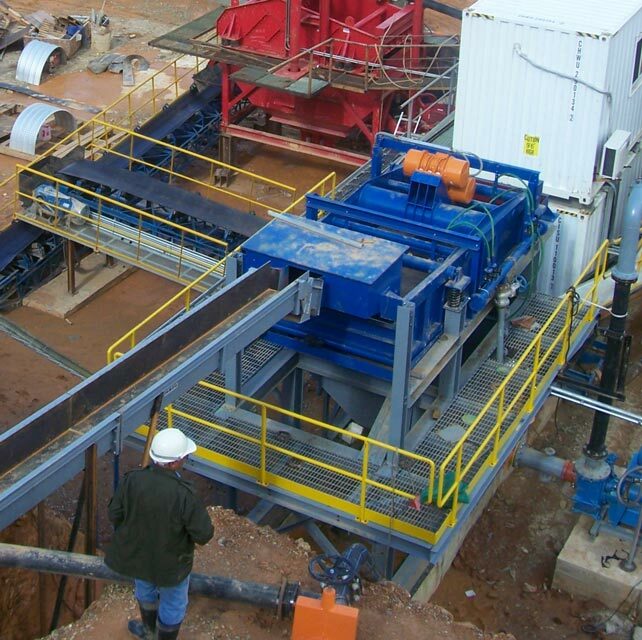 Gravity separation is a great method for separating valuable minerals from processed ore. As with anything, instant success can’t be guaranteed and that is why testing is so important. To our Falcon Gravity Concentrator customers, we always recommend two kinds of tests to start their gravity separation project. 1. Use lab scale gravity separation equipment first. We engineered a lab scale Falcon gravity concentrator, called the Falcon L40, so that our customers could do preliminary tests to discover how viable it would be to use gravity separation equipment for their whole project. The Falcon L40 will deliver results that suggest how economically, and environmentally, feasible the project will be. Sepro’s Falcon C and Falcon UF Gravity Concentrators, require no process water which can seem unusual at first, but our customers can see the environmental and economical benefits of this right away. The Falcon L40 can be delivered anywhere in the world, within a matter of weeks. The second type of testing we recommend is metallurgical testing. We work closely with Met-Solve Laboratories, a division of Sepro Mineral Systems, to help our clients find out the quality of the minerals they are recovering with gravity separation. The results of these tests can help clients refine their project, or make decisions on scaling their project up. TMAC’s decision to test the economic viability of using gravity separation equipment has worked out well for them, which we are delighted about. They are a prime example of why we strongly recommend testing. To enquire about our lab scale gravity separation equipment, or mineral testing services, contact us today. Alternatively, you can also speak directly to our Met-Solve Laboratories team, here.